"elektronische Einspritzanlage - Go EFI 2 Barrel"
Notes: Suitable for use on engines up to 400 hp; does not control timing. FiTech Fuel Injection brings you the Go EFI 2 Barrel 400 HP classic gold fuel injection system. This is a ready-to-run unit that strays away from the programmable features-and sticks to the basic functions necessary to get the best performance and economy out of your street and mild performance engine. 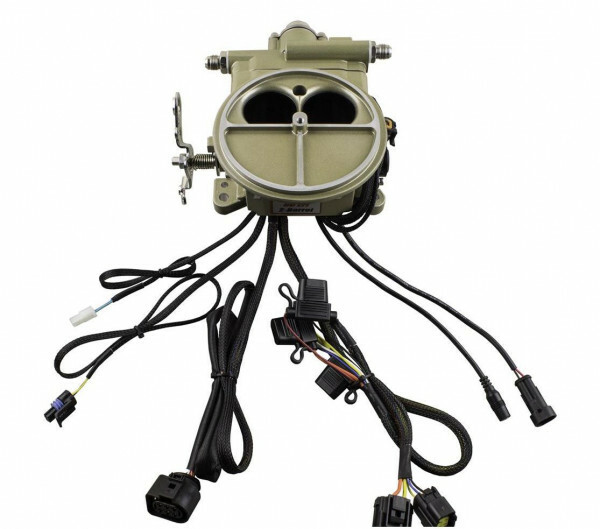 FiTech once again allows you to ditch that old carburetor and advance into the EFI world at the most affordable price on the planet! O-RING FOR 1-5/16 I.D. (16) 10 PCS.